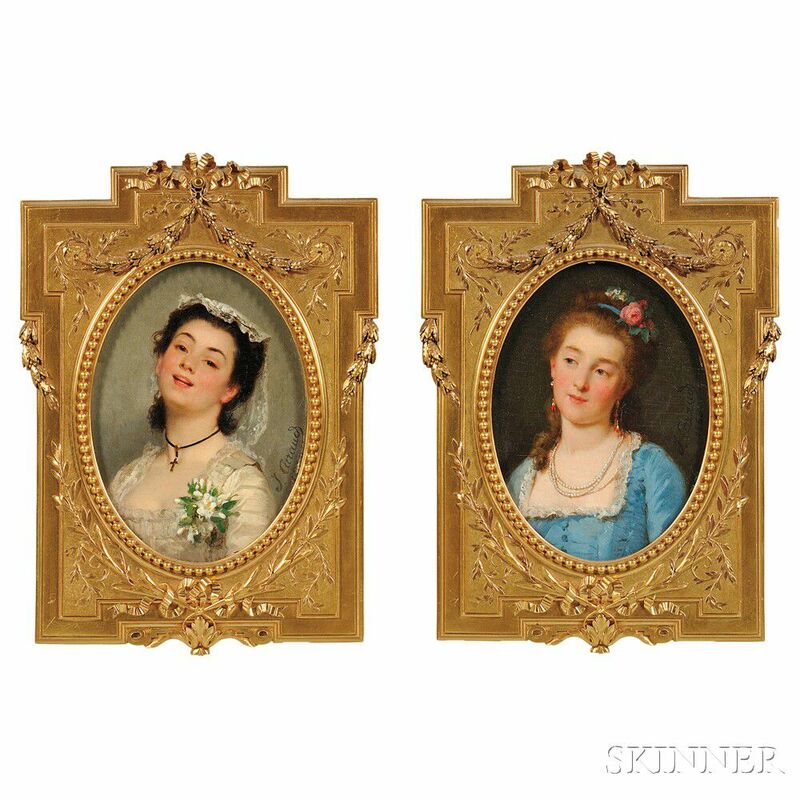 Both signed and dated "J. Caraud/1868" c.r. Both oil on canvas trimmed and mounted on paperboard, 6 1/2 x 4 7/8 in. (16.5 x 12.0 cm), in gilt-metal frames with oval openings. Condition: Frame abrasions, minor surface grime, Blue with minor paint loss u.c..
Woman in White with minor disadhesion from paperboard support at c.r. edge; also with frame backed with cardboard pieces inscribed in ink variously, including "M. Le Marquis de Balleroy...Calvados...," in a 19th-century script.